In my webinar, “Create audience-centered presentations,” I covered many ways to organize, design, and deliver a presentation around the needs of the audience, and in turn, get better results. If you missed it, I can share one of the concepts in the area of organization. First, why create a presentation around the needs of the audience? You’ll be able to keep your audience on the same page as you, resulting in better understanding, more retention of the material, and greater motivation to act. Remember that if you present what you want to say instead of what the audience wants to hear, you may miss the mark completely. Most people start and end the wrong way, especially in a sales-type presentation. They start by telling the audience about themselves, perhaps with a history of the company and a list of other clients. Then they start to talk about their product or service. Finally, they mention the problems that it solves. But the audience cares first and foremost about a solution to their problem. They want to know how you can solve the issues that keep them up at night. So, that’s where you should start — with the problem. Researching your audience’s situation in advance is very helpful for knowing what the problem is. It may not be obvious. You may think that the quality of your product and its excellent price are important. Your potential client might be more concerned about service. Explain the problem. Review the difficulties of the current situation. Explain how your product or service can solve the problem. Validate your solution. Here’s where you can talk about yourself and your company, and explain why you are the best person to solve the problem. State a call to action, if appropriate. By considering your audience first, you’ve turned the presentation upside down. The next time you prepare a presentation, think about this order. Your audience will thank you for it. How do you organize and structure your presentation content? 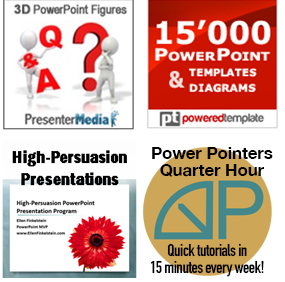 2 steps to presenting persuasively: What problem do you solve?